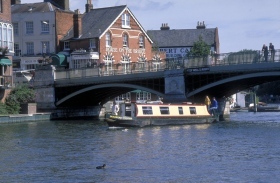 Despite the fact that it remains a non-metropolitan shire county, Berkshire is a very developed place. Just about every major international corporation you can think of, from Amazon.co.uk to Xerox, is based or headquartered in the county, usually the county town of Reading or the strangely-pronounced Slough (rhymes with ‘plow’). 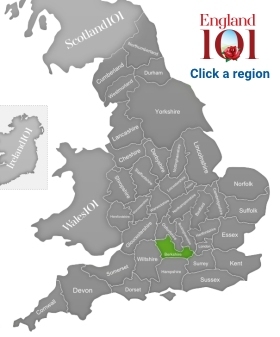 Being a shire, though, it’s not difficult to imagine that Berkshire has its fair share of rural life, including a strong agricultural economy based on traditional dairy farming and cheese production, as well as more recreational exploits such as horse racing. Ascot Racecourse is the county’s most prestigious track and one of the top thoroughbred courses in the country, while Newbury Racecourse, Windsor Racecourse and Lambourn Downs all play host to a races each year. 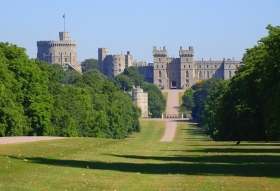 Berkshire’s pride and joy and its true claim to fame, however, is undoubtedly Windsor Castle. This, the largest and oldest castle in the world, dates to the 11th century and remains an official residence for the Royal Family. Encompassing a number of opulent state rooms and chambers, and surrounded by lavish gardens, a guildhall, Victoria Barracks and Windsor Parish Church, the estate is open to visitors for much of the year. When the Queen is in residence, her Royal Standard flag is flown from the castle’s keep. Berkshire’s soft countryside has inspired numerous artists over the centuries. Notably, novelist Jane Austen and poet Alexander Pope are both from the county. Likewise, numerous names in film and entertainment hail from Berkshire, including actress Kate Winslet, actor Kenneth Branagh and director Sam Mendes. Prime Minister David Cameron was raised in Peasemore. Berkshire also seems to attract oddballs, as controversial comedian Ricky Gervais is from a suburb of Reading, while self-proclaimed Isreali psychic, Uri Gellar (the spoon-bender) lives in Sonning-on-Thames, and beloved eccentric singer Elton John keeps his main home in Old Windsor. 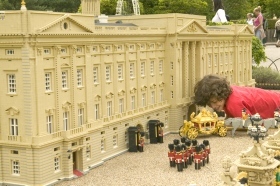 Buckingham Palace in Lego, Legoland Berkshire. 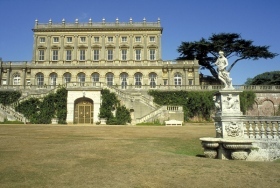 Cliveden House & Grounds, Taplow, Berkshire. 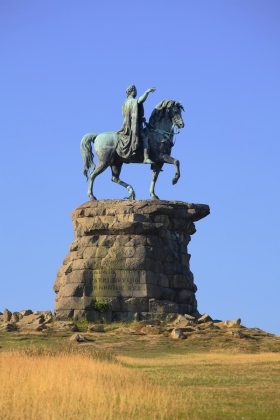 Cooper Horse (George III on horseback), Great Park Windsor, Berkshire. 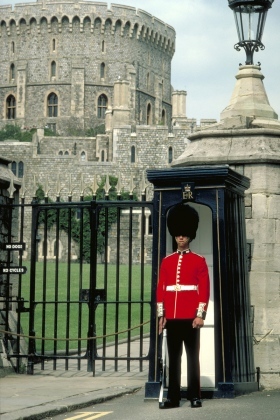 Grenadier guard at Windsor Castle Berkshire. 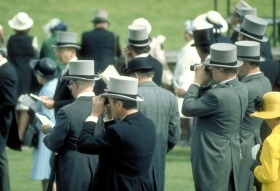 Royal Ascot Horse Racing Berkshire. How much do you know about Berkshire ?